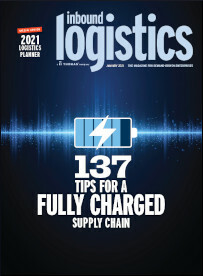 Inbound Logistics is the leading logistics and supply chain publication designed to help readers enhance demand-driven logistics practices, better match their demand to their supply, speed and reduce inventory and reduce overall transport and logistics costs. It is free to qualified professionals worldwide. 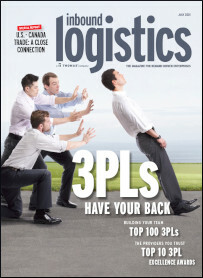 Please enter your information to continue, update or start your free subscripton to Inbound Logistics Magazine. Subscribing to Inbound Logistics is FREE upon registration. Inbound Logistics Magazine is without charge to those business professionals engaged in the management of transportation and logistics, so please be certain to answer all questions completely. *USPS Address-1 required for PRINT edition only, OPTIONAL for digital or tablet editions. 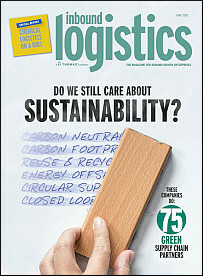 Transportation, Logistics & Supply Chain Svcs. If there are additional colleagues who should have their own personal COMPLIMENTARY subscription to Inbound Logistics, please enter their name and email address below. They will be sent a one-time invitation to subscribe. IL does not share your email address with others, however if you reside in the US and provide your postal address, by submitting this form, you agree to share your mailing address with suppliers and third parties who may offer services relating to your interests.